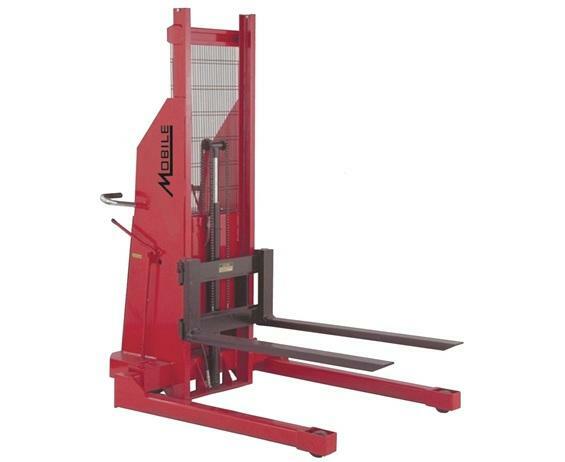 B-Series Non-Telescopic Hydraulic Stacker | Morrison Industrial Equipment Co. Ideal for facilities without loading docks. 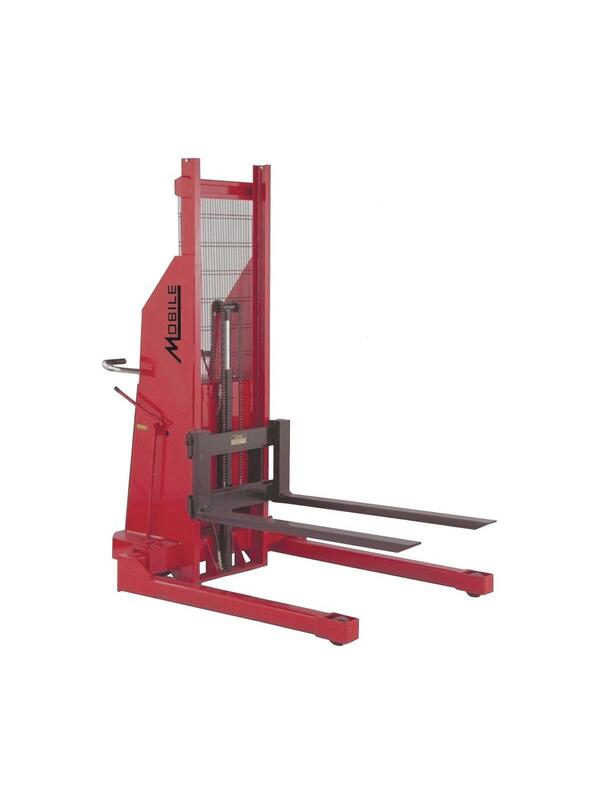 Designed for all types of applications including lifting and transporting skids, bales, baskets, etc. Also for loading and unloading trucks, stocking shelves, die and mold handling and will handle all sizes of pallets. Straddle legs adjust from 41"-50" I.D. Adjustable 42" forks. Includes battery and onboard charger with 6-8 hours use on full charge. FOB Shipping Point.